Home / The Cadet Direct Blog / Blade Fast Boil Mk 2 Now in Stock with MTP Sleeve! Blade Fast Boil Mk 2 Now in Stock with MTP Sleeve! We’ve just recieved delivery of the latest Blade Fast Boil Stove from Highlander. The Mk.2’s design has been updated from the popular original which was quite a block buster product for us when it was launched in 2015. 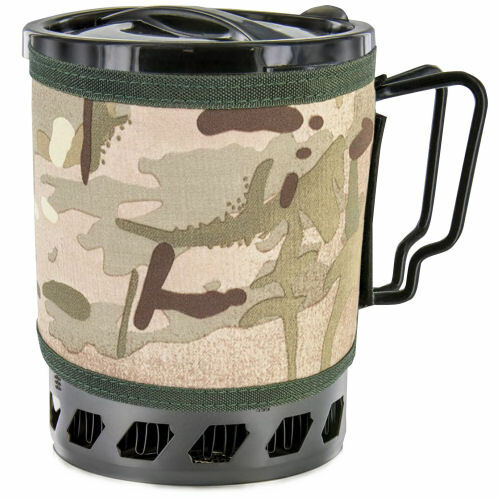 Amongst other improvements, the Mk 2 Blade features a new cup which has been redesigned to hold the stove kit more snuggly and reduce rattle when being carried in your kit. Furthermore the silicone lid has also been updated and improved to prevent leakage when simmering. Finally the new Mk.2 Blade Fast Boil is supplied with two insulating sleeves, one in MTP camouflage and one in black making it ideal for military and general outdoor use. We think the MK.2 is a great improvement on the original Blade Fast Boil and will increase in popularity with it’s new dseign. To find out more about the Blade Fast Boil please click here.